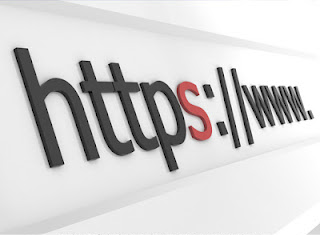 For those of you who love browsing on internet and maybe if you are careful to watch, of course, you've often come across sites with http or https prefix in the URL of your browser. But have you ever you think is actually what is the difference between http to https, and what does it do? Here are some brief explanation of the difference between http to https. 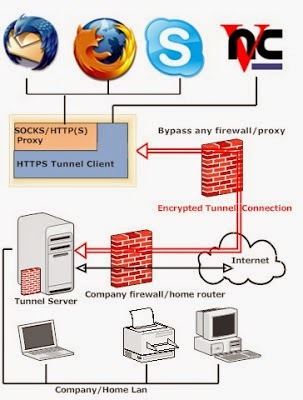 Hyper Text Transfer Protocol is a protocol used by WWW (World Wide Web). HTTP defines how messages can be formatted and sent from the server to the client. HTTP also regulate the actions of what should be done by the web server and web browser in response to commands on the HTTP protocol this. Hyper Text Transfer Protocol Secure is a protocol form that is more secure than http, because all the data traffic that passes through this protocol will be encrypted with various encryption formats making it difficult to be hacked its content. Now you have started to understand the difference between http to https. Now let's try a little to explain the functions and how it works with more detail, especially at the level of safety. We have demonstrated you were to log into a website with http protocol, without you even knowing there was a man in the middle attack attacks ( MITM hacking tehnique). Hackers use a tool which works to capture the data traffic between you as the user to the website or the server destination. With the http protocol, hackers will very likely get your data's, such as usernames or passwords in clear text. I have try this using wireshark network tool and what I got? http is very vulnerable protocol. But it will be different results if you login to a website with https protocol, because before your data sent to the server, all information is encrypted first. So the hacker will get your data in the form of multiple codes and it will be very difficult to be cracked. Currently 90% of famous websites already use https protocol for their authentication purposes, especially for matters that are sensitive such as internet banking login, online shop, mail and much more. Does https ensure full security? No one can guarantee https is super strong security as long as we use the internet cyber cafe or public wifi is accessible by another user, but at least https may greatly enhance the security of our data communications over the Internet. In addition, the security in the surf also needs to be done by the client, or the user itself. This is my article about the difference between http to https, hopefully with a little explanation above it can be useful for you all and add to our computer science.